research was faulty, and that this book she is selling has the correct perspective. Dunn's work and ideas are on utube and at his site. Margaret's rebuttal is behind a paywall. Dunn makes some strong cases for machining. Margaret says he is wrong, and to buy her book so she can present her argument. One of the problems is that equally enigmatic hard stone artifacts were made in Egypt from Pre-dynastic times (about 7000 B.C.) until well over a 1500 years after the Great Pyramid was built. That is, some date well before the 4th Dynasty date assigned to the Great Pyramid by Egyptology. How could the Great Pyramid have powered advanced tools to make these artifacts if the Great Pyramid did not yet exist? Even if Dunn speculates that the Great Pyramid is an older monument dating from Pre-Dynastic times, such reckoning does not account for spectacular monuments built hundreds of miles from Giza during the New Kingdom (about 1000 years after the 4th Dynasty). The Colossi of Memnon, for instance, were (until their repair in Roman times) monoliths each the height of a seven a story building. They are made of quartzite, the hardest stone ever used to make Egyptian monuments. They are located hundreds of miles south of the Great Pyramid and date to about a thousand years after the 4th Dynasty. Colossi weighing a thousand tons and more were built even later for Pharaoh Ramses the Great, and they are located many miles from Giza. We see that although Chris Dunn makes a contribution to Egyptology by helping to identify problematic artifacts (as did earlier machinists who worked with Egyptology W.M.F. Petrie), Chris Dunn's introduction of power tools fails to solve the masonry and engineering enigmas. In order for Chris Dunn's idea to hold, the Giza power plant would have to function remotely for thousands of years! Another problem is that Dunm cannot explain how all such advanced machinery could have disappeared with out a trace. All traces of machines (including physical remains, drawings and writings) would have to have disappeared from the archaeological record of thousands of years (from 7000 B.C. to the Late Period or later, when items of diorite were still being made). Dunn's ideas produce more problems than they solve. The Egyptian Pyramid Mystery Is Solved! offers the real means of making the enigmatic stonework, both large and small, without the need for power tools. These are some basic flaws. I am sure that her book goes into greater detail. I think there is a simpler explanation for the working of hard stones in the pyramid age....quality steel tools. Consider the NASCAR or other vehicle racing team. They take a machine shop with them and spare parts. After the race, they pack up and leave, with no trace left behind. To make inside cuts with flat walls and mirror image statues, you need more than a few hard edged tools, you need computer guided lasers, and diamond tip drills and saws. How accurate are the dating of sites? I believe the Ancients had a technology that temporarily altered the state of matter (i.e. of the stone). 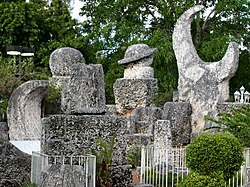 According to Ed Leedkskalnin (builder of Coral Castle), matter is made up of tiny magnetic particles, which give matter its mass (weight and cohesion). Remove some of these magnetic particles and the matter loses some of its mass (becomes softer and lighter) for a time (until the ambient magnetic particles in the environment restore the matter to its normal mass - very similar to how heat makes wax soft, and pliable, for a time). Does this look like a chisel that was used to cut stone? Sparky, that is not true. Humans had been carving the hardest stones long before the invention of diamond tipped drills, lasers, etc. with quality steel chisels, saws, and the like. Statues of the finest of work with sharp and delicate carving of eye lids, hair, and other subtle features from granite, marble, and the like have been carved by the Greeks, Romans, as well as subsequent Western, Oriental, and Mid East civilizations for more than two thousand years. Sculptors often do this today! No lasers, just high quality steel and a little muscle. How were the stones and statues of the Medieval cathedrals quarried and carved? That is a really good question and I suspect is part of the problem. The Pyramid age is dated to the Third Millennium BCE. That is during the bronze age and at least a thousand years before the iron age. If one puts the pyramid building era in the iron age, ie the first millennium BCE, then a lot of the mystery is removed. Indeed, the Greek historian Herodotus, writing around 500 BCE implies that the Pyramids are only a few generations older than his. Some revisionist historians have placed the Pyramids in around 700 to 800 BCE, meaning that Egyptian artisans would have had steel tools available for projects that required cutting and carving of hard stones. Egyptian chronology, and much of the ancient world, is derived from literary documentation and highly questionable astronomical retro calculations. Stratigraphy, the archeological activity of actually digging the site, is then fitted into the preexisting chronological structure. Stratigraphy is subordinate to the accepted chronology. Egypt is the anchor for the chronology of the ancient world, all other civilizations are dated by their possessions of Egyptian artifacts. For instance a Greek tomb may contain Egyptian scarabs which can be dated to a certain dynasty, it's date is then considered fixed. But that is just something to think about, we do not want to derail this thread with a discussion of chronology, as this topic is about the purpose of the pyramid(s). There may be marble statues that were carved with quality steel tools, I don't know, I've not really studied artistic decorations of buildings. But Dunn makes some interesting observations...And pointing out the electrical contacts, and discolored walls does point to an electrical device. You need a few volts to electroplate gold. I suspect that the photo's of Ed Leedkskalnin working and holding tools was a distraction that he used to hide his methods. I just made a post puzzling over the purpose of the Great Pyramid with its supposed, resonating, piezoelectric engine within as described by engineer/machinist Chris Dunn. The thoughts I had is that this particular pyramid (Giza) was specifically designed to change local atmospheric charge to possibly ward away interplanetary thunderbolts and, maybe later, reduce tropospheric dust after planets swaddled into there safe orbits. We can still see a blue haze rise upon Mars when Earth lines up with it. The documented evidence of ancient stone machining beyond stone hammers and brass chisels was well laid out by Dunn and other critical thinkers. A quick look at the locations of possible thunderbolt craters upon Earth shows Egypt rather devoid of past thunderbolts. Coincidence? More data needed. James Sidaway wrote: I just made a post puzzling over the purpose of the Great Pyramid with its supposed, resonating, piezoelectric engine within as described by engineer/machinist Chris Dunn. Is it possible that evidence of Egypt's thunderbolt activity is beneath the sand? Ancient Egypt may have fallen in part because of riots caused by climate change and volcanoes, according to a new paper. The new study paints a picture of the ancient civilisation riven by droughts and disasters. It looked at the impact of the severe events of ancient Egypt, finding that they caused stress on its economy and ability to fight wars. In doing so, the research threatens to completely upend our understanding of the effects of climate change on early societies, according to the researchers behind it. Around 70 per cent of the world currently lives in regions that similarly rely on monsoons for their crops – and could fall victim to the same troubles. The researchers used a variety of different data – including modern climate science, combined with descriptions in ancient textbooks – to explore the way that large volcanic eruptions hit river flow from the Nile, reducing the height of the summer flood that Egyptians relied on for farming. In turn, that may have led to drought and famine that ultimately brought about unrest and changes in politics and economics. The time is also very well documented, meaning that researchers have a detailed understanding of historical events of the time. But there are some glaring mysteries: including why societal disruption begins at certain points. The Nile was incredibly important for the ancient Egyptians of Ptolemaic Egypt, between 350 and 30BC. Each year monsoon rainfall brought summer flooding that helped grow crops to support the society. When those crops failed, societal unrest would ensue, according to detailed reports at the time. Until now, researchers haven't known what caused those strange but important floods. They now propose they were the result of volcanic activity – which in turn would have altered the climate and brought about disruption to the most central parts of society. "Ancient Egyptians depended almost exclusively on Nile summer flooding brought by the summer monsoon in east Africa to grow their crops," said Joseph Manning, lead author on the paper and the William K & Marilyn Milton Simpson professor of history and classics at Yale, in a statement. "In years influenced by volcanic eruptions, Nile flooding was generally diminished, leading to social stress that could trigger unrest and have other political and economic consequences." The authors hope to go on to look in more detail at the contemporary reports, to support their argument that the volcanic eruptions and the disruption that ensued could have been the reason the ancient Egyptian civilisation fell. And they also argue that the findings should be of note to all the people around the world who depend on monsoons for their agriculture. That accounts for some 70 per cent of the population. JeffreyW wrote: No, the Great Pyramid was not an electrical generator. In electrical generators you need magnetic fields and conductors to cut the magnetic field lines (the magnetic field lines being representative of the magnetic fields of course there are no "lines"). Better a late reply than never. That is probably why some (and i) think they used water, having it flow through the pyramid, the water would absorb the charge, or 'cut the lines'. LongtimeAirman wrote: Daniel, I agree, and I think I can recognize civil projects better than most. Yes. i think we messed the place up, the pyramid is not functioning (as it should), if we can restore it that would be great.. but we can not if we do not understand it. Too bad the news article does not give the builders credit for any of it. The paper has some interesting pictures, they are based on math/electrical models only. * charge photons moving straight is what en electrical field physically is, spin on the photons (or curve) is the magnetic field. nick c wrote: -Have any "pyramid as electric generator" proponents made a working model? Hi Nick, maybe the paper in my post above provides somewhat of a working model. I prefer looking at the charge field and try to come up with a better actual physical explanation, but the electrical models seem to work already in being descriptive of the fields(etc). Sparky wrote: There may be marble statues that were carved with quality steel tools, I don't know, I've not really studied artistic decorations of buildings. But Dunn makes some interesting observations...And pointing out the electrical contacts, and discolored walls does point to an electrical device. You need a few volts to electroplate gold. I couldn't help but look at this from a mechanial pov. And here is how I imagine this 'tool' being used. If it was a tool. The man in picture is fairly short/small, imagine a 6ft 200lb man, or 3, with hands on this. And the Arrow points to a pivot point. Built some way and lashed down so the jackhammer of lifting, falling, strikes the same point each time. Anyway, really cool picture. If this thing had wires running to it, and was let go with the same pivot point, perhaps from a great distance by using a Rope. It would be just like closing a circuit or switch. POW.